Today I had a late lunch after practicing basketball. 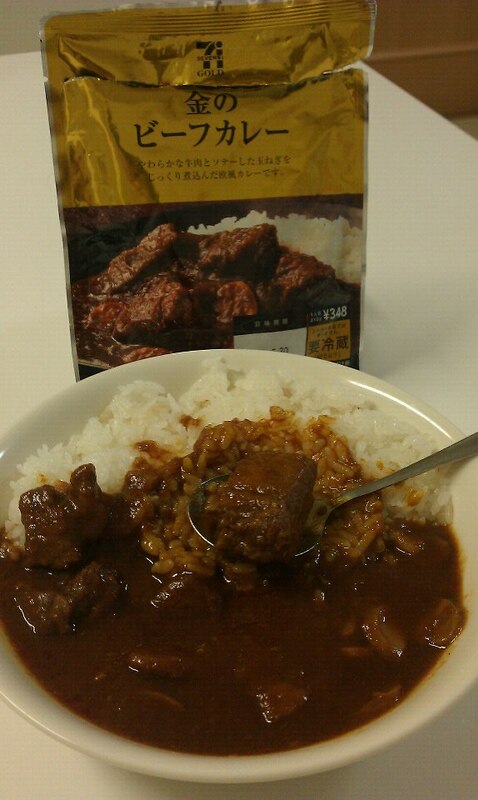 This is "Golden Beef Curry," which I bought at Seven Eleven. At 348 yen, it's rather expensive for a retort-packed curry, but if it were served at a restaurant, I wouldn't mind paying 1,000 yen for it. That's because it has big chunks of beef it in, as you can see.